With the signature touch of Lee Asher, the expert hands of Spanish card manufacturer Fournier, and the prestigious Lloyd's of London approval - we present the 605 series. Made in Vitoria, Spain and imported to the USA. Vintage green with white filigree scroll. Vintage brown with white filigree scroll. High Quality Playing Cards for Magicians! 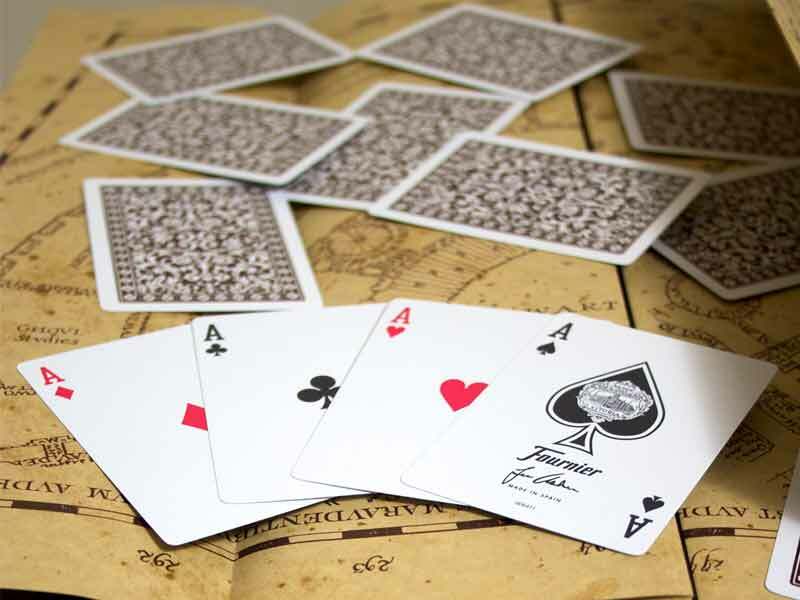 High Quality Playing Cards for Gamblers! Magicians, Cardists, Gamblers & Collectors Appreciate 605s. 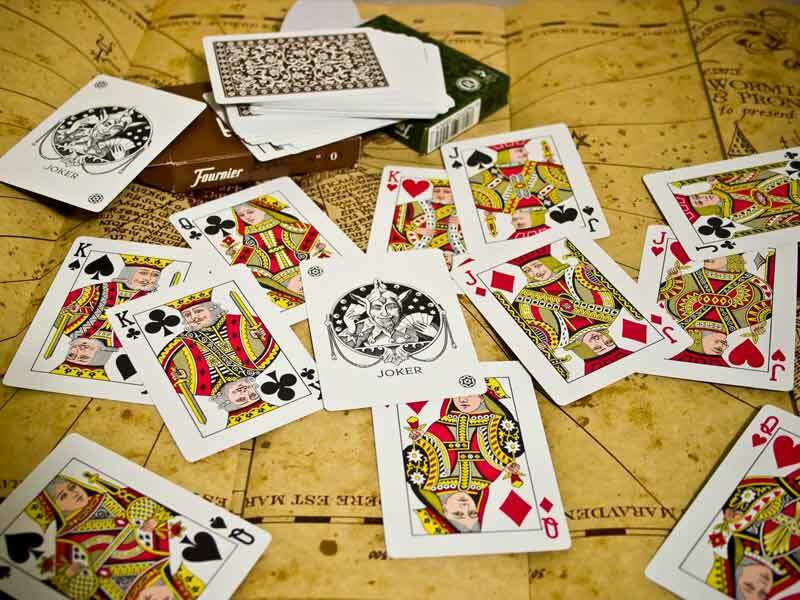 With exquisite attention to detail, this luxurious deck of cards was created with an exclusive selection of the best raw materials and a manufacturing process equipped with strict quality controls.  The Lee Asher Fournier 605s are impeccably printed, free of defects or marks, and finished with an exclusive varnish formula guaranteeing a precise slide. Thanks to the individualized cutting system, all the cards are exactly equal, with perfectly rounded corners and superb borders. 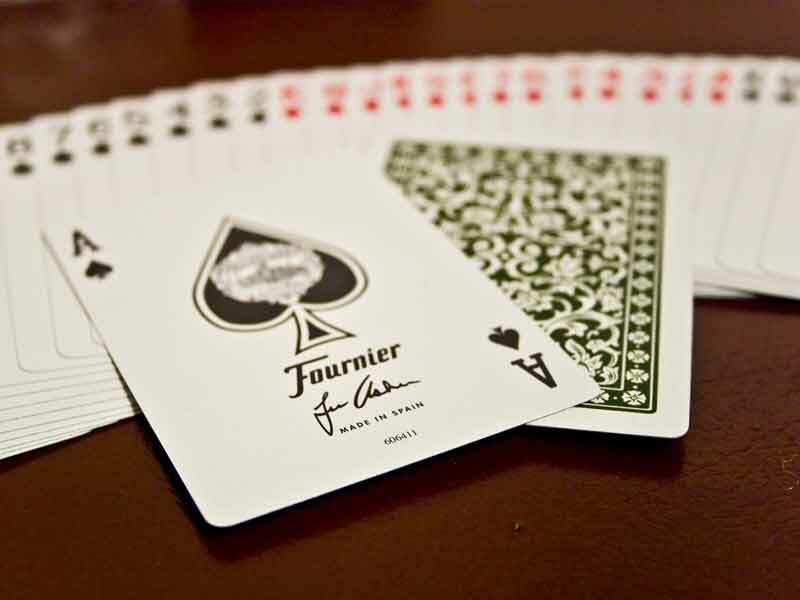 Constant innovation, the desire to improve the quality of their playing cards, and the exquisite attention to detail have made Fournier one of the world's leading card manufacturers. 605s are designed to maintain their original form and to be handled for many hours without symptoms of wear or suffering any tears. 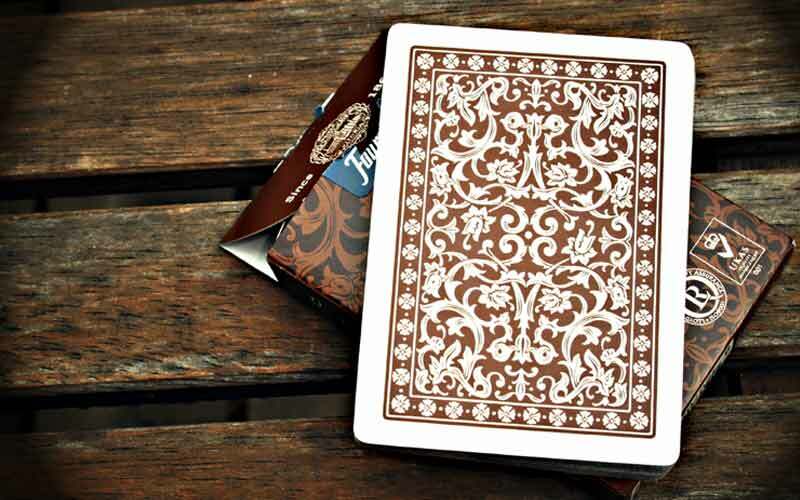 Founded by Heraclio Fournier in 1868, the Fournier card company is located in Vitoria, Spain. In 1986, they were purchased by the US Playing Card company. However, they continue to keep their old world style of printing which differentiates them from everyone else in the world. The 605 series decks are made by Fournier in Vitoria, Spain. 605s aren't for everyone. It can be said they feel thick & smooth, opposite to a thin textured playing card. Because they are European stock, they take upwards of (10) ten hours to break in. That takes some work and hand strength. If this sounds like something that interests you, then 605s are right for you. Purchase some 605s today or still have questions? Just Ask.